The market is filled with piano brands advocating for their own special features, but weighted keys are a common amenity across all high-quality digital pianos. The best digital piano with weighted keys typically costs over $1,000. Nonetheless, there are specials for beginners in the form of lower-cost instruments. Across all price ranges, these are the best digital pianos with weighted keys to buy in 2018. Each instrument was rated by functionality, recommended uses, and realism. Before delving into the detailed list of top seven pianos, this is a quick briefing on our top five products. According to many piano enthusiasts, Yamaha is the most consistent overall brand. The DGX-650B is a device which includes all of Yamaha’s premier features at a reasonable price. As far as premier digital pianos, this device is entry-level. Moreover, the stand does not replicate the body of an acoustic instrument, and there are no built-in pedals. However, the Yamaha sound library makes up for these minor inconveniences. Excellent Yamaha sound library. Lack of appropriate body or built-in pedals. Korg is not especially popular for their digital piano selection. Despite their lack of maximum focus on this market, the LP-380 model is their best instrument for acoustic simulation. At just under $1,000, the device’s full body is built of quality plastic alloys with a matte finish. The LP-380’s built-in sounds are the normal high-quality fare for Korg products — but the built-in speaker is on the quieter side. High-quality Korg samples and sound library. Weak built-in speaker. 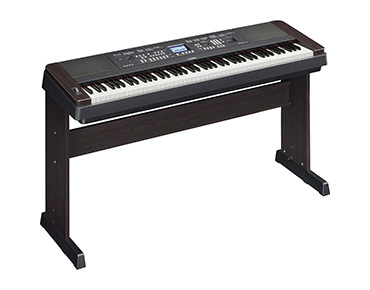 As with most Casio hardware, the Privia PX-870 is a workhorse among digital pianos. At $1,000, the device is perfect for practice or small-scale performances which makes it the best digital piano with weighted keys for intermediate pianists. The PX-870 has received a lot of praise for its excellent speaker quality; these speakers get loud, and they never sacrifice quality at high volume. Built-in pedals and body. Bulky instrument. 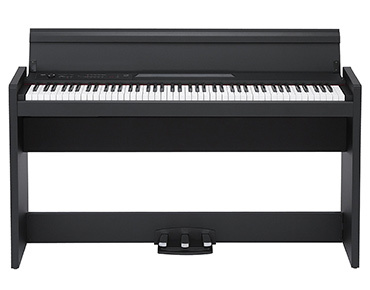 Yamaha’s P45 is among the most popular digital pianos on the market. The instrument is affordable yet it offers a surprising level of quality for its price. 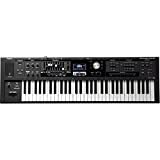 The weighted keys are better than anything else in the price range, and the Yamaha samples are touted as some of the best in the industry. 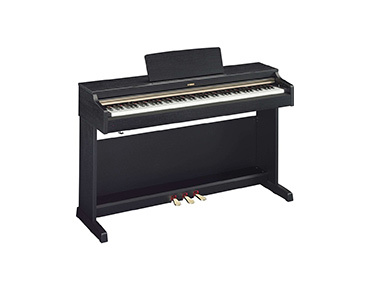 Beginners should always consider purchasing the P45 model as their first digital piano. Affordable and reliable. Outdated by newer models with improved sound libraries. Roland is in the same position as Korg in that it isn’t known for its selection of realistic digital pianos. The F-140R choice, however, is a well-known powerhouse in the industry. The F-140R is a state-of-the-art device with Bluetooth capabilities, smart accompaniment, and a library of over 300 sounds. On top of that, it comes with great accuracy in simulating the feeling of acoustic keys. The piano’s full build is also surprisingly elegant for a company that focuses more on portable devices. Hyper-realistic feeling. Roland grand piano samples are more digital sounding than other brands. Bluetooth and other advanced features. Offers more portability than other full-sized devices. 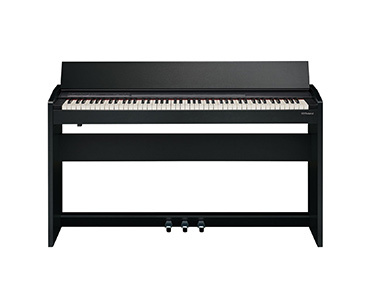 Yamaha offers more expensive digital pianos than the YDP162B, but it’s their most valuable instrument to date. 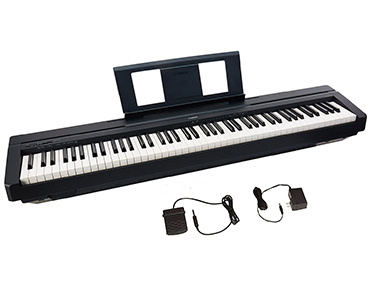 This Arius model is the best digital piano with weighted keys as it comes with all the offerings of a luxury digital piano in an affordable package. It’s a bulky device, but the rosewood finish and increased height make this one of the most realistic digital pianos on the market. However, the star of the show is the device’s Pure CF sound engine. This cutting-edge sample library is making a big splash in the industry, and it’s considered the new standard of excellence. Increased keyboard height. Heavy build. 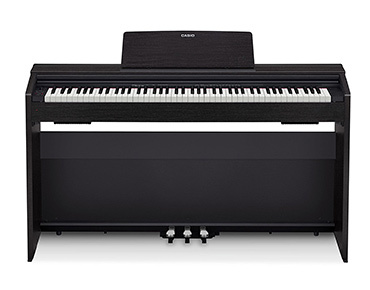 Kawai has long flown under the radar of Yamaha and Casio, but their CE220 stole them the title of the best digital piano with weighted keys in 2018. The sounds of this device reach an unmatched level of realism. 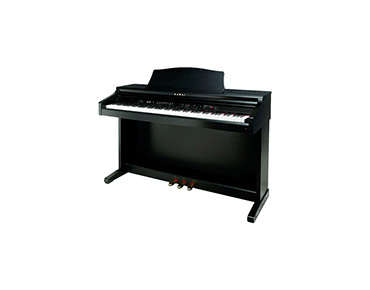 The CE220 model is also an elegant piano, but it’s big enough to require a permanent location in your home. Best of all, the device’s extra features include everything a professional pianist could need. Though Kawai lacks access to the Pure CF sound engine, their pianos offer a rich and unique tone which can’t be replicated elsewhere. Finding the best digital piano with weighted keys to buy in 2018 comes down to your own needs as a pianist; beginners need not venture into the luxury piano range. On the other hand, advanced pianists can do no better than the Kawai CE220. Please feel free to share your thoughts on any of these pianos. I’ve found that the “more affordable” digital keyboards such as the Yamaha P-45 should not be purchased by intermediate or advance musicians. The weighted key assembly has a reliable tendency to loosen at the punch points creating a clunky/rattling sound and feel. It’s quite annoying and obstructive to practice and performance. These particular keyboards should be reserved for only beginners or for practice/performances having limited advanced play.